Apple aired three new iPhone 6s ads today, showcasing the device's new Camera and Siri hands-free capabilities. The Siri ads are two brief videos that build upon Jamie Foxx's previous appearance in Apple's 3D Touch commercial. In the two ads, Foxx is shown activating Siri on an iPhone 6s Plus just by saying "Hey Siri" – one of the new Siri features in iOS 9 for the new iPhones. While they don't show any of the new Siri commands for iOS 9, the ads focus on communicating that holding the Home button is no longer necessary to activate Siri, even if you're not driving. The 6s Camera commercial is a longer, 1-minute ad in the same style of Apple's "The only thing that's changed is everything" campaign. The video goes through all the new camera and photo functionalities of the 6s, including Live Photos, peek previews with 3D Touch, selfie flash, 4K video, and improved Slo-Mo mode. 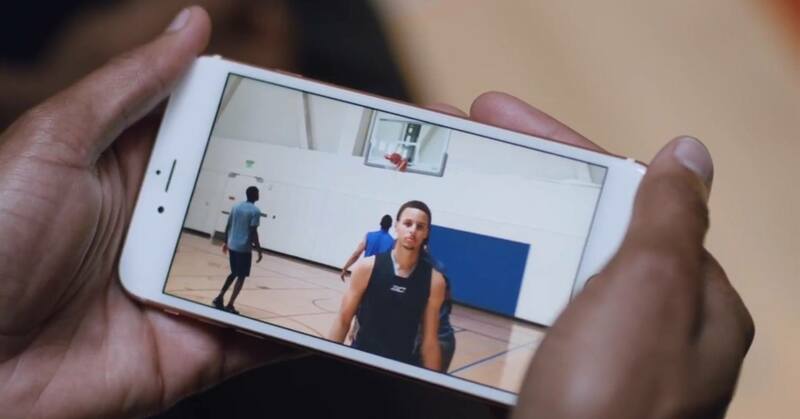 At the end of the commercial, Golden State Warriors' Stephen Curry is shown scoring a three-pointer as recorded by an iPhone in Slo-Mo. You can watch Apple's new iPhone 6s commercials below. Apple yesterday debuted six new adverts for the Apple Watch. The new adverts are short 15 second pieces which highlight various features of the Apple Watch (from Apple Pay to audio messages to fitness features) and how they can be useful in different contexts. Sprinkle: With Apple Watch, and Apple Pay, buying something on the go is simpler than ever. Date: When you get a new message Apple Watch gently lets you know it’s there, so you can see it right away. Ride: Apple Watch gives you turn-by-turn directions, so if you get a little lost you won’t be for long. Sing: Sending an audio message on your Apple Watch is simple. Just say it and send it. Train: Apple Watch lets you check your heart rate fast so you can keep your heart beating faster. Cycle: Apple Watch tracks every second of your ride, from warm up to cool down. You can view all the adverts below the break or on YouTube.